Businesses invested in the medical marijuana industry will converge on Pittsburgh in April, offering those new to the industry a chance to hear from legal cannabis experts worldwide. Called the World Medical Marijuana Business Conference and Expo, the weekend-long meeting offers a chance to network with potential business connections and hear speeches from those involved with the marijuana industry, including former pro football running back Ricky Williams. Other speakers include a host of cannabis researchers, business owners and marijuana legalization advocates. Representatives of the Campaign of Compassion, which represents patients who want access to medical marijuana in Pennsylvania, also will attend. Pennsylvania has not approved legalized medical marijuana. The event has grown in recent years as medical marijuana legalization has successfully spread through 28 states and the District of Columbia. In November. Florida, one of the biggest states, joined the list. One of the major components of the event is providing information to healthcare providers who have to deal with a growing number of patients who want access to medical marijuana. That means navigating the regulations around medical marijuana in each state, as well as any tax implications in earning money from marijuana-related services. The event is co-hosted by the Compassionate Certification Centers and Greenhouse Ventures Partners. The Compassionate Certification Centers provide training to medical professional in serving the needs of medical marijuana patients. 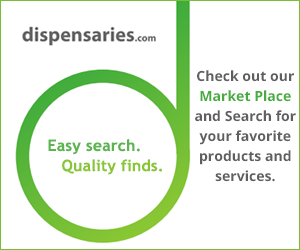 “Medical Marijuana is here, and gaining momentum every day. It is time for us as a medical community to embrace, educate, support and perform for the research on this treatment option,” Bryan Doner, a doctor and co-founder of the certification centers, said on the organization’s website. The convention also allows venture capitalists to meet other like-minded business people. Conference co-host Greenhouse Ventures Partners works in the legal cannabis industry. Greenhouse Ventures Partners specializes as a business accelerator for startup companies in the legal cannabis industry. They consider businesses need up to $2 million to start a business. The overall goal is to “assist in building a successful and sustainable cannabis industry,” according to the company website. The conference expects to attract about 5,000 attendees, with more than 100 companies on hand to exhibit their products. The event is planned for April 21 and 22, 2017, at the David L. Lawrence Convention Center in Pittsburgh. What is düber (DBR) and How Can It Benefit Cannabis Businesses? How Much Do You Spend On Marijuana Every Month?